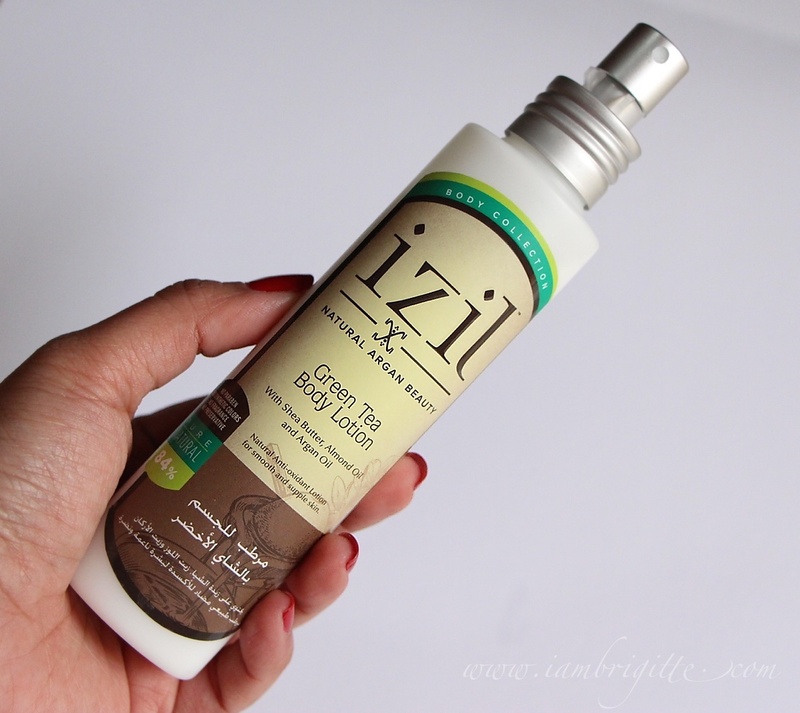 A few weeks ago, I was able to get hold of a sample of one of the IZIL products that were launched in the UAE sometime last year. 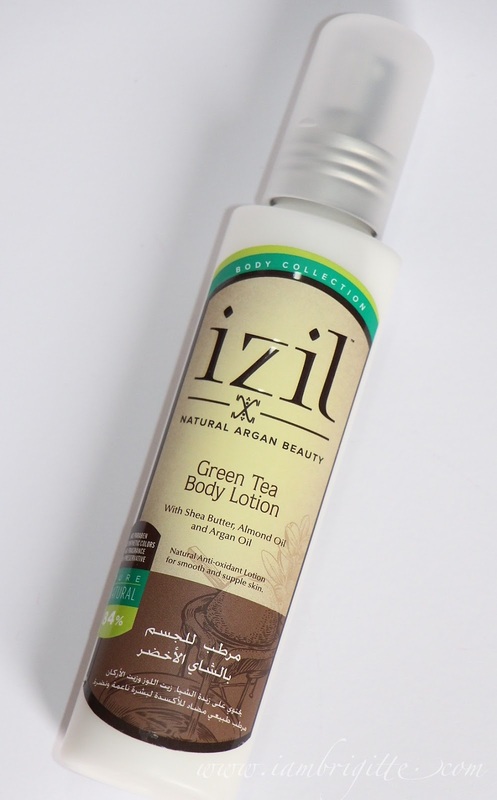 It was this Green Tea Body Lotion and though I recently became a fan of green tea products, I didn't use it right after getting it. Why? Simply because I prefer whitening lotions. Yes, I'm into anything whitening. But please, spare me the criticisms and remember, to each his own. Kaya wag kayong judgmental. Hahaha! One night when I came home from home very tired and stressed, I thought of getting a massage. But where to get one, I really don't have an idea and besides, it can be expensive (kuripot mode is on). So after resting for a bit, I just decided to take a quick warm shower. Then I found out that I ran out of body oil (which I prefer using at night) so I rummage through my stuff and saw this. I took a sniff and wow, I felt like I was teleported to a spa. I immediately used it and got hooked since then. A freshly scented, lightweight and readily absorbed lotion that helps stimulate cell renewal for smooth and supple skin. It has Shea Butter, Almond and Moroccan Argan Oil, antioxidants, vitamins and Green Tea extract for intense hydration and protection against free radicals and toxins. It has a stopper which prevents spillage of the product. This is really good most especially if you'd be bringing this when you travel. 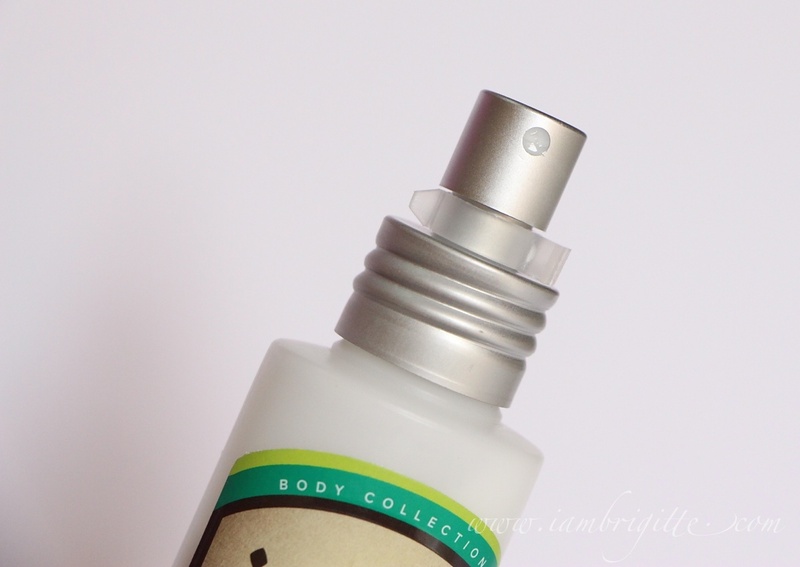 I usually lose the cap of almost anything so this stopper definitely gets my two-thumbs up. I just wish I won't lose it too! It comes in a plastic container with a spray-cap. I honestly prefer that it comes with a pump instead because it just takes time to get enough product out. Yes, the pump works but I really think cream products should either be in a pump bottle or a tub. The product itself is really lightweight and spreads evenly on the skin. And the scent? Oh god, it's so good I am addicted to it. It smells so fresh, it's not overpowering and it just helps me relax. It reminds me of massage oils used in a spa. It feels good and it smells good. I take my time applying it on my skin. I don't just slather it on, I massage it on and it really helps me take an entire day of stress off of my body. The scent stays on too. I wake up still feeling and smelling good. It keeps my skin moisturised even with my A/C on full blast overnight. I wake up with my skin that is smooth and looking as if I've slept long hours. I also use it sometimes during the day and it makes my skin look glowing and healthy. I wish it comes with an SPF so I won't have to use a separate lotion for sun protection. Overall, I am really liking this product. Whenever I use it, I feel like my skin just came from a good massage in a spa. Who needs a whitening lotion if you have a body lotion as good as this? Besides, green tea helps in detoxifying the skin so with continuous usage, skin will look clearer, fresher, younger and more beautiful. It's a lot better than just having whiter skin, di ba? This is quite expensive at AED115. But just try to think of how much goodness you'd be getting in a bottle and eventually, you'd realize you are indeed getting your money's worth. But still, I wish it's cheaper.